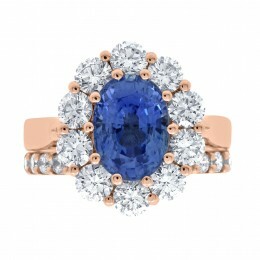 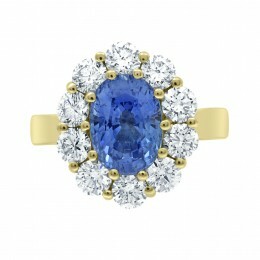 “Catherine” A show-stopping sapphire and diamond engagement ring. This beautiful sapphire is beautifully encased by ten stunning white round brilliant cut diamonds. 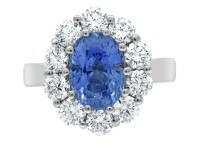 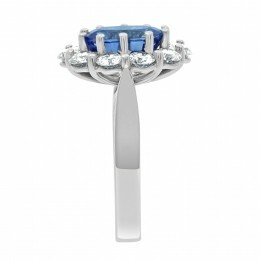 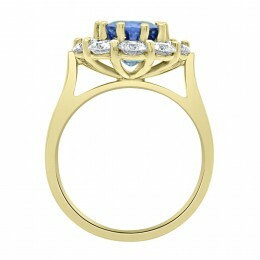 The ring pictured has a 3ct pale blue sapphire. 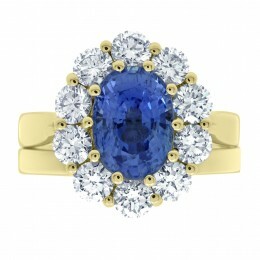 Encased with 1ct of D VS diamonds . This engagement ring is available with a selection of plain/patterned and matching diamond wedding band and is available in white gold, platinum, yellow gold and rose gold.